Light Art Space is owned and operated by Karen Hymer, a visual artist and teacher from Tucson, Arizona. Karen earned her BFA from The School of the Museum of Fine Arts, Boston and Tufts University, Medford and her MA and MFA in Fine Art Photography from the University of New Mexico, Albuquerque. She actively exhibits her work both nationally and internationally. Her work is in several public collections, including the Center for Creative Photography and the Polaroid International Collection. Dark Spring Press released the first book of her work in May, 2018. An exhibition of twenty-five original photopolymer gravures is available to travel. Karen’s experience and technical interests are wide-ranging. 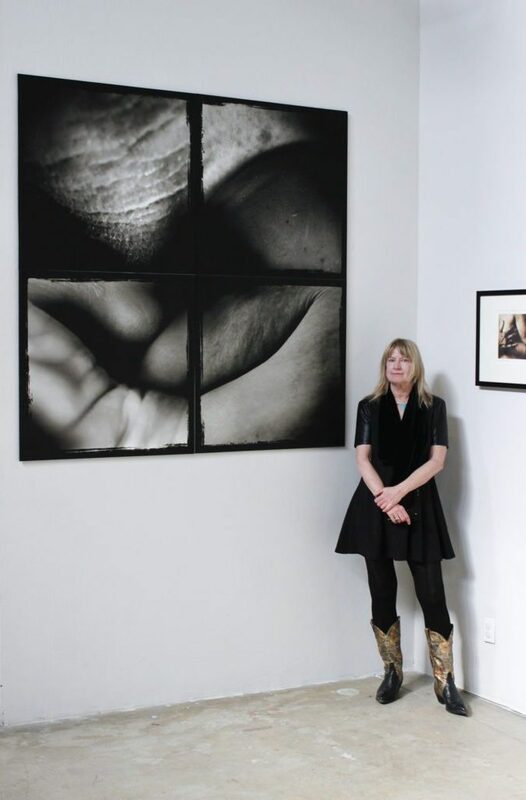 Although “trained” as a photographer and educator, her approach to image making explores the blending of photosensitive materials, digital media, printmaking and encaustics. In addition to working as a fine art photographer, she taught photography for over 25 years at Pima Community College in Tucson and currently offers workshops and private sessions in Photopolymer Gravure printing and alternative photographic processes. As Director of Light Art Space Karen is excited to offer her teaching expertise and enthusiasm to the Silver City community. All materials copyright © 2019 Light Art Space. All rights reserved. Website by Websy Daisy.